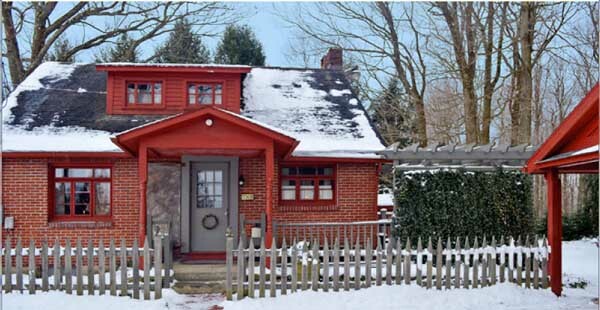 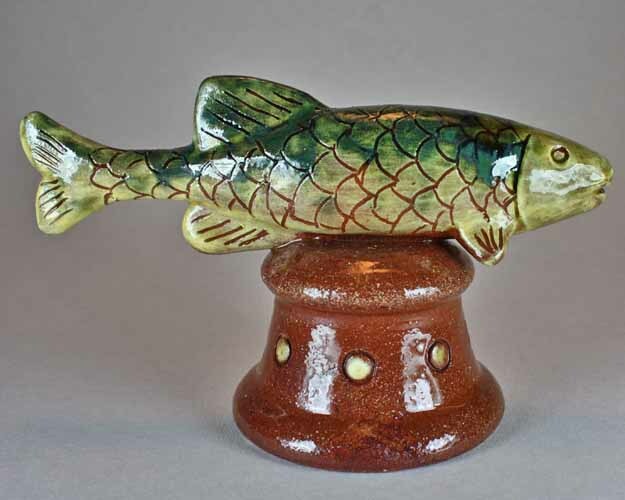 Robert Hughes is a redware potter and a full-time public school art teacher who fell in love with clay while attending Millersville University, where he earned a Bachelor’s degree in psychology and a Master’s in art education. 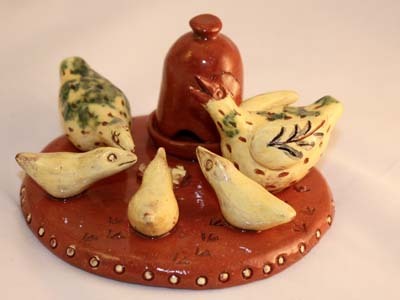 His interest in historical pottery developed when he worked as a crafts demonstrator at Landis Valley Museum, a living history museum dedicated to Pennsylvania German material culture. 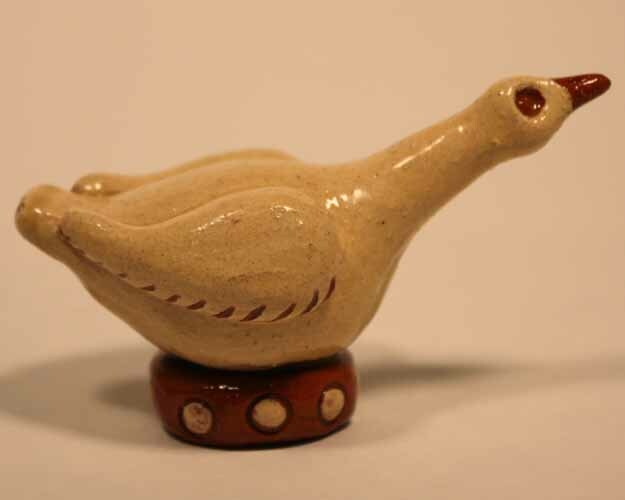 By traditional standards Hughes is a “bluebird potter,” one who produces the bulk of his pottery during the warmer summer months. 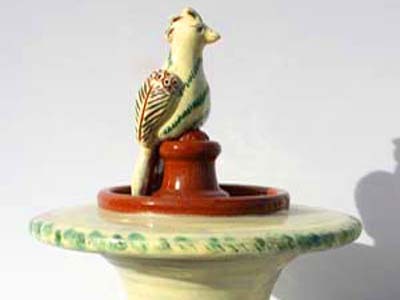 To achieve a period-correct look, he uses historical tools and processes such as a treadle potter’s wheel and wood-fired beehive kiln. 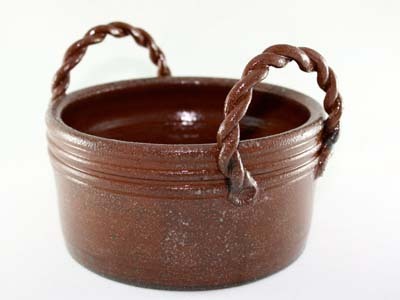 His only concession to modern techniques is using lead-free glaze so that the finished pottery is food safe. 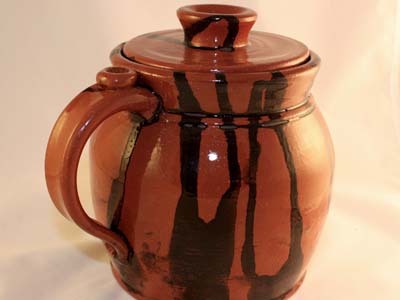 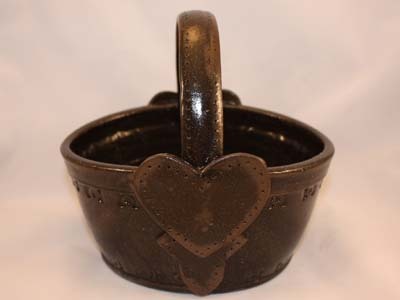 Since 1991 his primary focus has been creating Pennsylvania redware, much of which is purchased by living history museums for historic foodways programs. 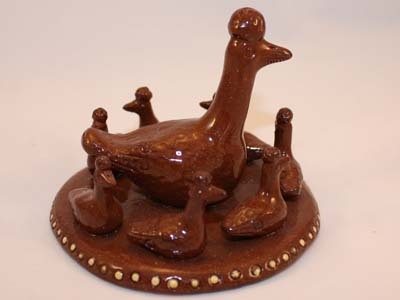 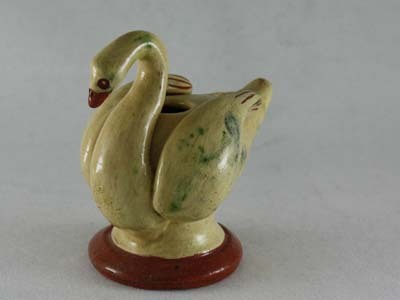 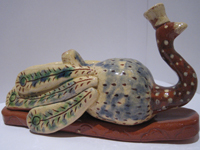 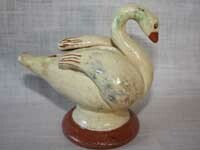 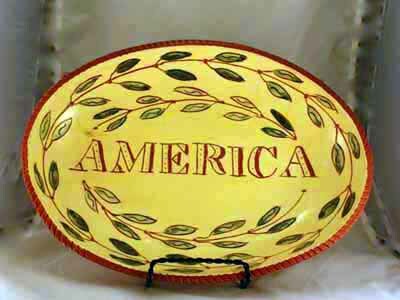 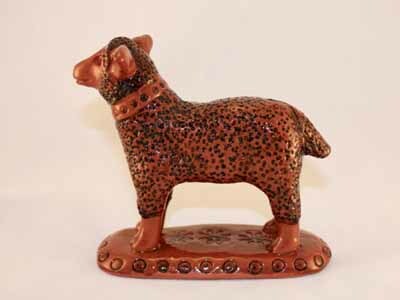 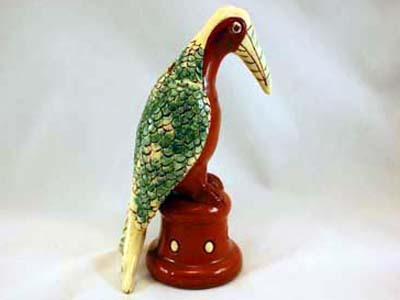 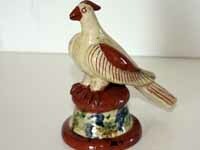 Although he makes some reproductions, he creates most of his pieces in the style of early American redware, often bringing elements together from several different antique examples. 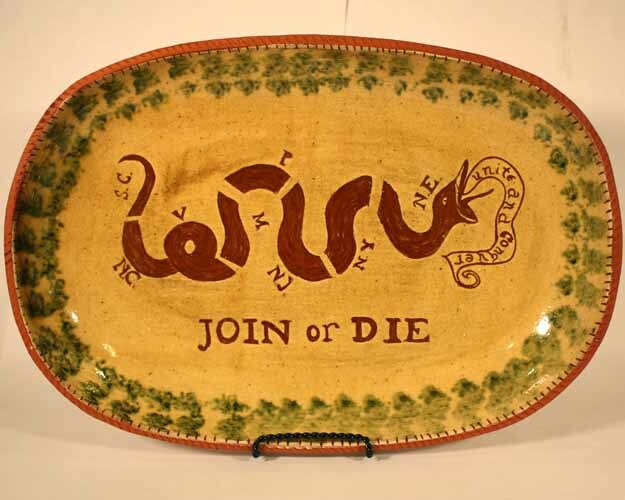 Recently, his wife, Sally, has begun to add slip-trailed and sgraffito decoration to his pottery, often taking the design ideas from antique fraktur, scrimshaw, textiles, stoneware, and of course redware. 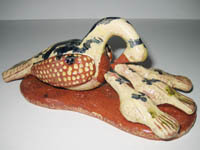 The couple enjoys visiting museums, auctions, and private collections in search of ideas and inspiration for their work.